I ran the Houston Half Marathon in 2008, so this will be my ten-year anniversary. During that race, my watch stopped working so I had to run completely based on feel. 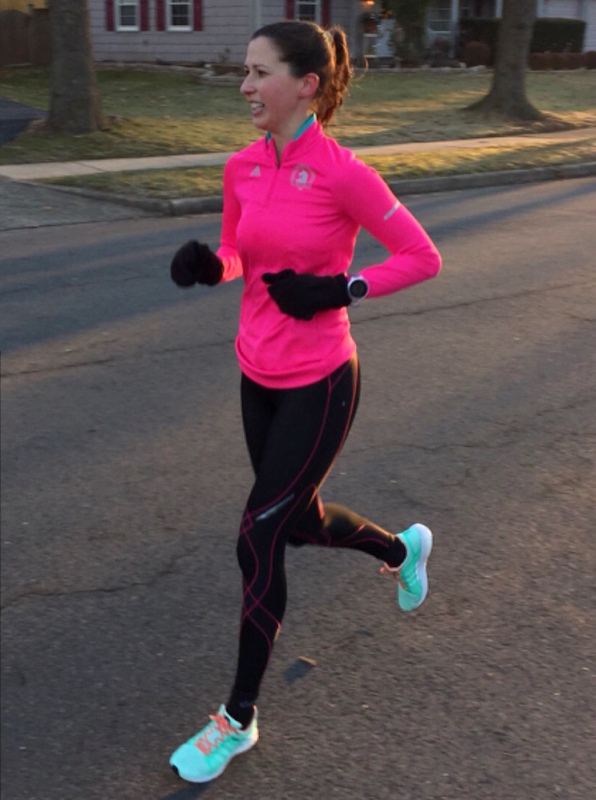 Because I had been injured for the first two weeks of December, I was expecting to be much slower than my PR. However, I really surprised myself and walked away with a two-minute PR! And I attributed that to my relaxed attitude about the race: no pressure, not watching my splits, just running by feel and having fun. My time was 1:50:43. This is an excellent opportunity to help the victims of Hurricane Harvey. I can't even imagine what it must be like to lose your home. I'm running as a charity runner for the Salvation Army, specifically aimed at helping the Harvey victims. It's "on my way" to Vegas. I need to be in Las Vegas on Monday the 15th for work, and I actually saved money by doing a stop-over in Houston on Southwest Airlines. My original goal for Houston when I registered was to run a sub-7:00 pace, but based on recent workouts, I think I could possibly swing a 6:55 pace and run it exactly 20 minutes faster than I did in 2008. That's an average of two minutes a year! So, my revised goal is 1:30:43. Last year Houston was hot, so hopefully this year the weather cooperates and I have an "on" day. This goal time would be a PR by nearly three minutes. In terms of training, my weekly mileage has been in the low 50's for the past three weeks, and this week it will be 59 after I do my 30-minute recovery run tomorrow. Here's a recap of this week. This is the slowest I have run in a long time. I received an email from my coach on Sunday night telling me that I would have a big week of training and that I should run the easy runs very easy. I took that to heart and ran very easy! The prescribed workout was: 3 miles tempo, 3-minute recovery jog, 2 x 90 seconds hard, 4 x 60 seconds hard, 4 x 45 seconds hard, 4 x 30 seconds hard, 6 x 15 seconds hard, all with equal duration recovery jogs. I programmed this workout into my Garmin so that it would beep at the start/stop of each interval, and then give me exact lap paces for each. I couldn't believe how fast my tempo was! The miles were 6:51, 6:42, 6:36. That's an average pace of 6:44! And even after that was done, I still had gas in the tank for the short intervals, which started at a pace of 6:25, and ended at 5:48. Last year at this time, 6:44 was my 5K PR pace, and now it's my 3-mile tempo pace. Including warm up and cool down, I ran a total of 9.8 miles. Another easy run that I took very easy. Another workout combining lactate threshold work and VO2 max! The exact workout was 2 x 3 miles at half marathon pace with a 4-minute recovery jog in between, followed by 6 x (1 minute hard, 1 minute easy). This is the workout that makes me think I can run a 6:55 pace in Houston. My half marathon pace miles, which I ran based on effort, averaged 6:50, and the pace felt controlled. I could have definitely run faster. Exact splits were 7:00, 6:52, 6:48, 6:50, 6:49, 6:45. The 1-minute "hard" paces averaged out to 6:10. Including warm up and cool down, I ran a total of 11.4 miles. It was 30 degrees with no wind, which is ideal weather for me. My route was not pancake flat-- it was a series of small inclines and declines with two little hills, similar to how Houston is. A little faster than my other easy runs, but it felt like I was going much slower, surprisingly. I kept this run nice and easy, with the first half averaging 8:53 and the second half averaging 8:29. My legs actually felt pretty good but I didn't want to push it too much. Tomorrow I'll do a 30-minute recovery run and finish off the week with just over 59 miles. Overall, I feel really good about this short training cycle. I'm basically just building a bit of extra fitness on top of my marathon fitness and seeing how things play out on race day. I haven't run a solid half marathon in nearly two years, so I'm itching to get out there and race one that I'm really well prepared for. 1:30:43, here I come! 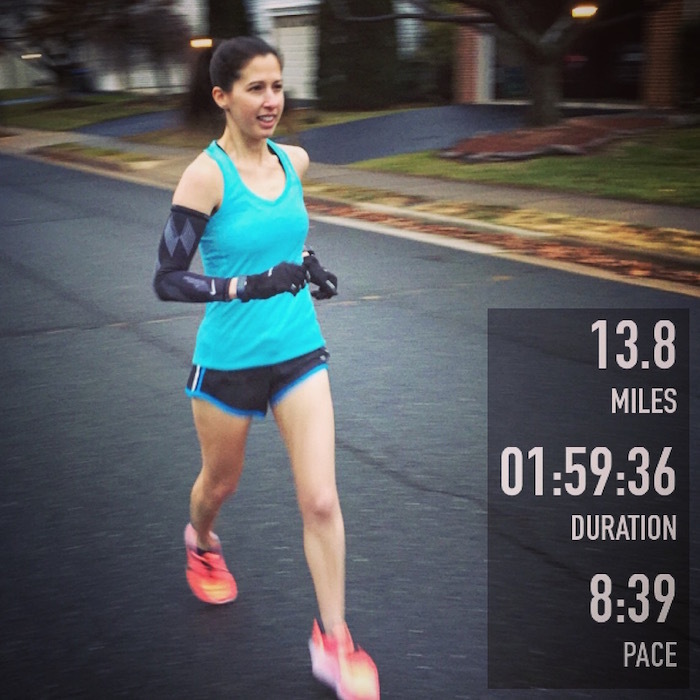 Pretty impressive running with those 3-mi Tempo+intervals and 2x3-mi at HMP+intervals workouts! Really glad to see you take those easy run days really easy with those low 9 average pace! Exactly what you need to do if you run those other 2 high-intensity workouts that fast! I see some very good balance here in your weekly running. Good luck in Houston! Definitely sounds like time for a PR in Houston! Sad I won't be joining you! It looks like training is going really well. I don't blame you to use your marathon fitness to crush a half, and it sounds like this one means a lot to you and should be a great race. Can't wait for you to run this race and to hear all about it! !